Don't know about that.... There is competition and short term demand is lessening globally.... I do think it will be above 8K, but we need a new technology market driver product to make it happen... I don't see it coming in the next 1 1/2 years.. Most will miss the short of a lifetime. It is right about now is when the retail investor stops opening up his statements for his 401(k) plan. Like Warren Buffet likes to say..."it's not a loss until you sell your position". Or not... perhaps some swing trade with the IT trend, so whether it's a bull or bear is of less importance than being with the IT trend.... and that total went over 1400-SP00 points today. 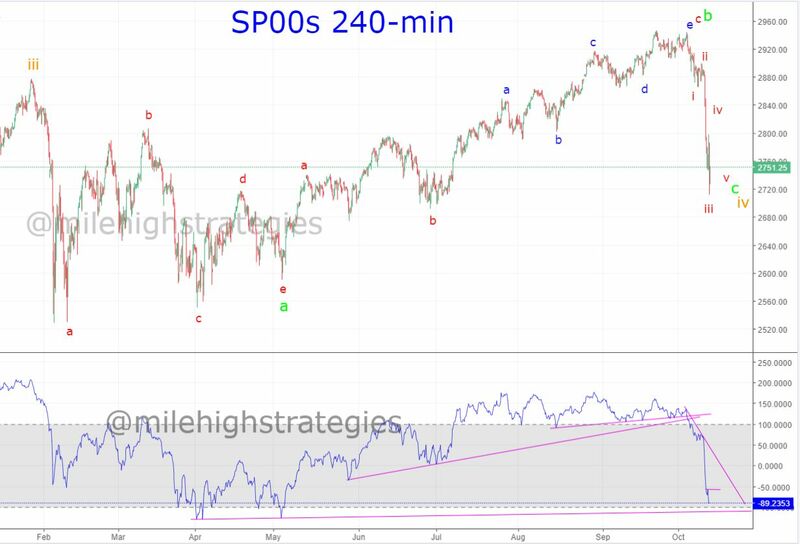 Regarding my opinion of the market, which is totally a separate matter from my swing trade position, I think the SP00s completed or nearly completed wave-iii:c:iv today, and I anticipate a couple up days not in wave-iv:c:iv, then one last move downward in wave-v:v:iv, which may truncate... twt.